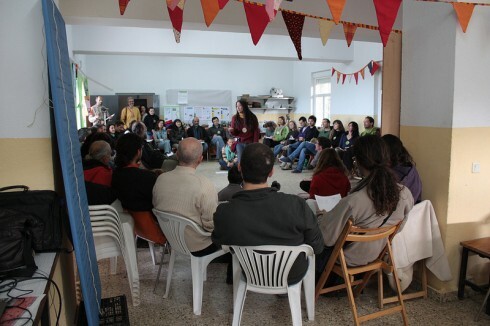 A couple of weeks ago, 150 people from across Spain gathered in Zarzalejo for the country’s first Transition gathering. By all accounts it was an extraordinary event. This post draws together various accounts of the event, and photos from it (a film is soon to follow), but we start with a short interview with Emilio Mula who attended the event. How was it? Who came? How is the emergence of Transition in Spain looking? How did he leave the event feeling? A lot of constructive ideas came out of the various discussions and activities but the main idea that I got was the deep respect for the planet and the will to work together. Under the theme ”Building the future we want”, the group proposed local and positive solutions to achieve a more sustainable life and more resilient communities. This Conference was a true success, in my opinion. It was a very participative and creative meeting, with loads of proposed creative activities and with a lot of fun! 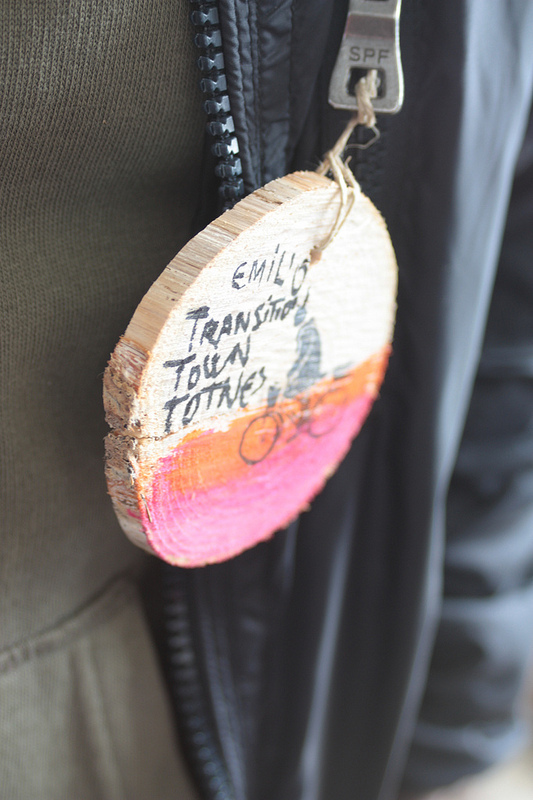 The film In Transition 2.0 was launched by the hand of Emilio Mula! Participants showed a lot interest and posed loads of questions. There was a concert by a local chorus, and many other activities. The organizers open the program completely for proposals for workshops by the participants. The human resources in the Spanish network are remarkable: there was a talk about , a talk about “auto-construction” and “auto-consuming” by a manager in the National of Civil Protection (Firefighter Training department manager). There was a workshop on Transition and education by the TI “University of Santiago de Compostela in Transition” and, among others, a workshop about the collaborative edition of the “Transition Companion” in Spanish (we might here more about this because they are working already in it and proposing strategies of lowering the costs, etc etc)! A manager group for the national network was created then and met to start working on how the network of initiatives will work, tasks and roles, forming working groups and thinking about the national Hub structure. The organizers planned to document this event using a film, pictures and completed reports. Meanwhile, you have some pictures here“. 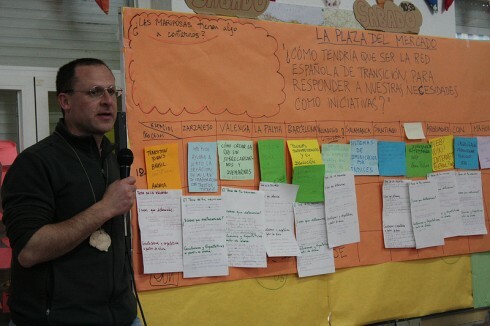 “On the weekend of April 20th-22nd, a meeting was held in the town of Zarzalejo, in the proximity of Madrid, where many of the existing Spanish Transition initiatives got together for the forst time, with the intention to explore ways of co-creating a spanish-wide network that can support existing initiatives and catalize the emergence on new ones. 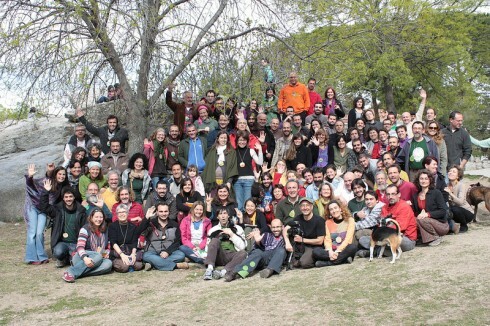 The first time when people interested in the Transition Towns movement from many corners of Spain was in Barcelona, in june 2009 when the first Transition training in Spain was held. There the seed of Transition was sown, and during all this time many transition initiaves have been incubating up to spring of 2011 when many of them first exposed themselves on the internet through their web pages. This inspired the event organizers, themselves belonging to some of the existing Spanish Transition groups (Zarzalejo en Transión, Barcelona en Transició), and a couple of Spanish members and collaborators of the Transition Town Totnes Initiative, to consider the possibility to organize an event, where all these emerging initiatives con meet each other, share their experiences and envision a future where they could all support each other in an organized way. And this is what happened. 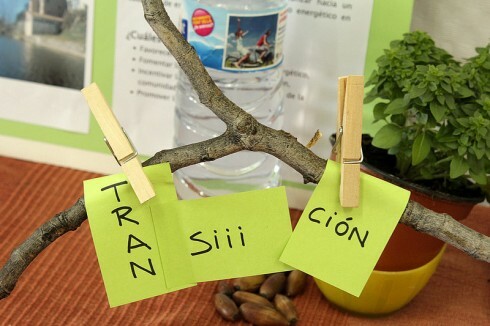 During the 2 and a half days that the meeting lasted, people from the transition initiatives of Coin, Fuegirola-Mijas, Jerez (Andalucia), Barcelona, Argelaguer (Catalonia), Zarzalejo, Mostoles, Aranjuez, (Madrid), Valladolid, Valencia, Bilbao, ….. got together and exchanged experiences. The event included many interesting workshops on transition related matters, celebration, lots of good food and vibes as well as more formal moments of work about the creation of the Spanish network. Bravo Emilio! One huge step forward for Spain and for the Transition movement! Emilio, was there anyone present from Bilbao? I am going there from tomorrow (Wednesday) for two days to meet some people interested in sustainability events. I speak English and French but not Spanish or Catalan I’m afraid. Yes,some people from Bilbao came to the event, if you want I can send you their emails. Have a good trip to Bilbao. I can’t believe the double coincidence! 2) … and I have read the message from john thackara. I’m available for him in Bilbao. Please tell him to write me to alejoetc@gmail.com or call me to (+34) 639 391 854. Soon more reflections and informations.